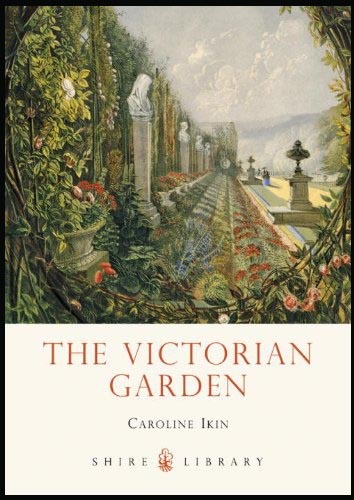 Much to the delight of gardeners In nineteenth century England as well as America new plants arrived from Africa and South America. They were not hardy plants for the freeze of winter, but provided ample color and texture as annuals for the summer garden. In an attempt to display these new plants, and thus show a sense of prestige in owning the latest plant variety, gardeners both in England and America encouraged the fashion of carpet bedding. The patterns became more complex as the fashion became more popular. The Crystal Palace Park in London in 1875 featured a series of butterflies arranged over six beds. American gardeners would, of course, not be out done. 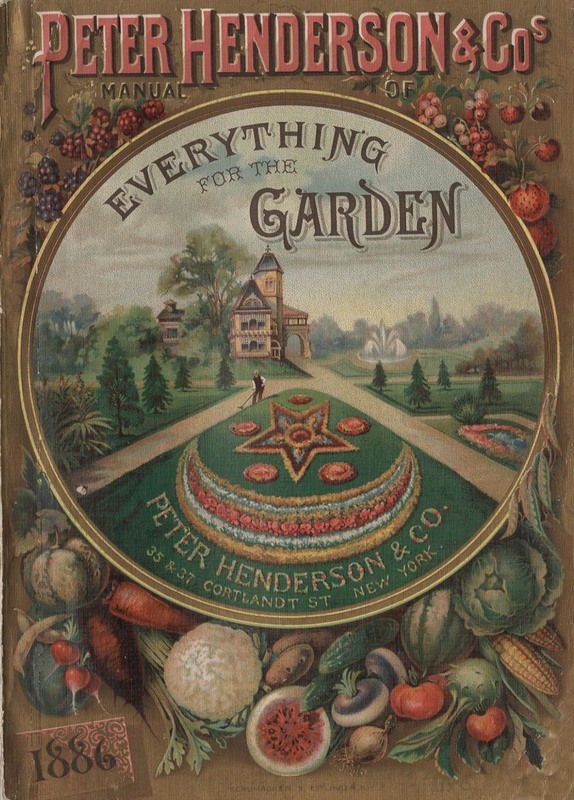 The Peter Henderson Seed Company included carpet bedding on its catalog cover of 1886 [below]. Notice the intricate detail of the carpet bedding flower patterns on the lawn. Such gardening demanded maintenance throughout the summer to keep the height and color in this design. Pruning and dead heading occupied the gardener for many hours every week. Yes, I agree. The Victorians also saw nature as a way to show off their social status. Thus all kinds of collections of plants, from annuals to ferns to orchids. Carpet bedding was an opportunity to showcase exotic annuals from South America, Africa, and Asia. They must have rejoiced when they had the newest plant. Now that I think about it I guess we do that today too.